This book describes and maps some of Southern Scotland's best hill climbs for road cyclists. Ride the roads that Robert Millar trained on before he went to France and was crowned King of the Mountains. 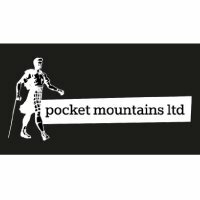 Unique Pocket Mountains' back-pocketable format. This little book celebrates the fact that whilst hill climbs can be hard, they encapsulate the essence of cycling. Your efforts are awarded, first, by the sense of achievement and, second, for the free ride downhill that follows every climb. The Cyclist's Guide to Hillclimbs on Scottish Lowland Roads describes and maps some of Southern Scotland's best hill climbs for road cyclists. This guide forewarns you of the distance, the total height gain and the average gradient of each route. Published by the same people who brought us the esteemed but inexpensive Pocket Mountain guide books for walkers. Nice format - 15 x 10.5cm / 6 x 4" - just the right size (and content) to earn its place in any rider's back pocket. Cover flaps make it easy to bookmark the route you're following. Nicely printed in clear typeface with colour pictures and a pocket map of every route. 'Who likes climbing hills? The fight against gravity can leave your legs screaming in pain, your chest burning in agony and your head desperately craving oxygen. Yet there’s a great feeling of achievement after taking on a murderous climb and winning. You may not enjoy it at the time, but that feeling always brings you back for more. Scotland has few roads that compare to the high passes of the Alps or Pyrenees, yet it was a Scot – the great Robert Millar from Glasgow – who became the first (and only) Briton to win the Tour de France’s famed red polka dot jersey and it was on the hills around his native city that he began his quest to be crowned ‘King of the Mountains’. In this guide John McKendrick brings together 36 of Southern Scotland's best hillclimbs, including such cycling club favourites as The Nick o’ the Balloch, The Crow Road, The Duke’s Pass and The Serpentine, as well as many less-known but equally exhilarating and testing climbs – stretching from Millar's cycling heartland of Glasgow and Ayrshire to Galloway, the Borders, Edinburgh and the Central Lowlands.